Say hello and welcome to Ey Wade! Ey, tell us about yourself—you know, all that stuff that makes you interesting! I am the single parent of three awesome young women, whom I homeschooled through high school and the grandmother, ‘Lovey’ of a little boy. I am currently the author of nine books written through various genres and have recently joined the awesome team of Inknbeans Press. I was born and reared all around Texas except for the short stint when I lived in Alaska with my parents. 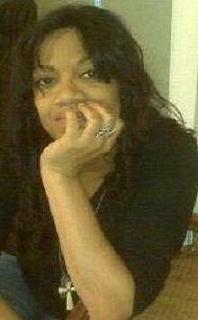 Knowing me as a writer is like cracking an egg’s shell in the air and wondering how far the splatter will spread. Wait, that’s kind of like knowing me as a person. I’m like all over the board and always working on three to five projects at a time. I have no favorite spots to work and my view tends to be directed at the keyboard. When an idea comes into my head I just flow with it. I haven’t been able to conform my writing to any specific pattern. I am more often working on one story and the characters from another will just be dying to get my attention and I have to go into their world. I tend to write in various genres from fiction to picture books. My favorite actresses are Sandra Bullock, Alfrie Woodard, Angelina Joliet just to name a few. For fun I like to hang out with my family, watch TV, do outdoor things, listen to music. My first conscious effort at writing something believable was for an elementary school paper. The topic: What Did You Do For Your Summer Vacation? Of course I had done nothing spectacular. As the third child in a family of seven siblings, living with a single mom, who would expect my mom to be able to afford a vacation? The fiction I wrote gained me an A and a path to my future. My quest as a writer is to make my stories believable. I don’t write in one set genre. When I write I tell a story the same way I read them, from every aspect of life. I’m a total pantser. I get a thought and run for pen, paper, cell phone, Nook, or laptop. Is there another writer that inspires you? Your work? I honestly have to say I’m not inspired by anyone. I like reading varied authors, but I’m not inspired by just one of them. My favorite work is my history book, “Beads on a String-America’s Racially Intertwined Biographical History”. I wrote this book with the love of my children in mind and that spread to the children of America—the world. I want people to learn about and become acceptable of others who they consider to be less worthy of their attention. My inspirations come from everywhere. Simple things people say or something I have seen. Sometimes things just pop into my head and I run with it. 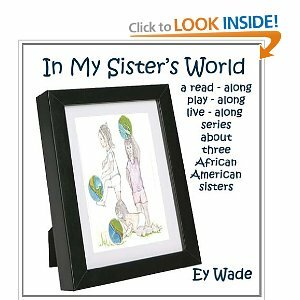 The little girls in the stories from my series, In My Sister’s World were inspired by my daughters. Simple questions can stir up the imagination quicker than you can think. My best experience was having daycare centers elect the questions I wrote to go along with “The Perfect Solution” as teacher training worksheets for their staff. The worst experience was to find so many errors with in the book from the publishing company’s lack of promised editing. We writers get a lot of advice—some good, some bad. What is the best/worst writing advice you ever got? Best- to self publish. Though I am now with a small publisher, self-publishing gave me the confidence I needed to be an author. It helped me to believe in myself. Worst- Having an agent tell me not to listen to what Ballantine books had to suggest and then directed me to Publish America, a book publishing mill. Yikes! Tell us about your latest work and where we can find it. The latest book to go into print is a collection of three picture books for children aged 0-100. A read-along, play-along, live-along, series about three African American sisters. “Not a Sound, Not a Peep” -Mhia’s Mom and sisters help her sleep after a nightmare After you read the stories, there are coloring pages..
Hmmm, I like to say I began writing because of a silly ‘vacation’ paper, but I think I really began writing because I was lonely. It was so much easier to create a world than to get out and make friendly with people who didn’t understand the writer’s scattered thinking. They’re ready for your e-Reader (whatever model) to eat them up. Ey, it has been a real pleasure getting to know you better. Thank you for spending time with us today!